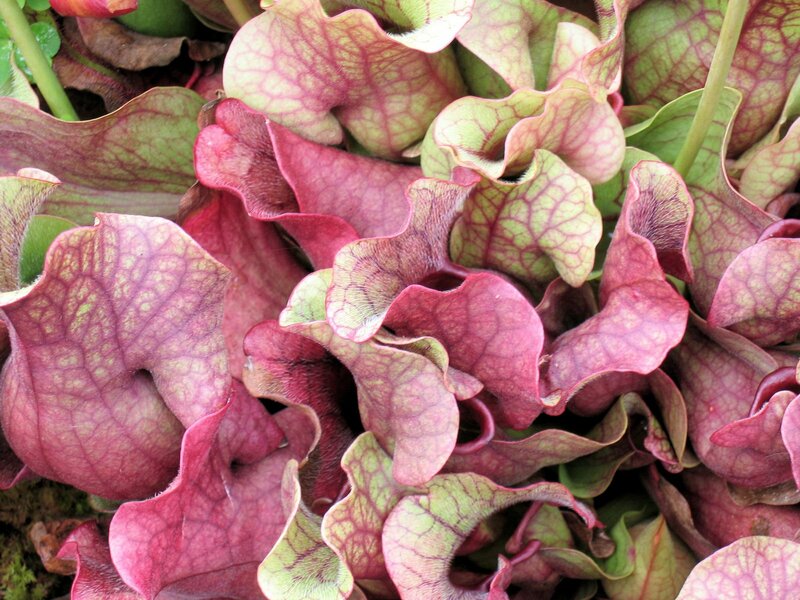 The purple pitcher plant, Sarracenia purpurea, is one of the most common and widely distributed pitcher plants. It is found in large parts of Canada and the eastern US, and it is the only pitcher plant that can live in cool temperate rainforests. It eats small prey such as insects and spiders.